Upcoming FUHT with Dr. Arvind. What\'s a good strategy? I have an appointment scheduled with Dr. A’s Clinic for approximately 4500 FUHT. I was impressed with Dr. Arvind Poswal’s honesty, and dedication in documenting his results. This is my first HT. I am a 38 year old Caucasian male. My hair loss started when I was about 20 years old and has progressed very slowly over the years. I didn’t use any topicals or meds until one year ago. My hair loss has stopped and improved slightly as a result of minox and fin. Based on my age and current condition, I think I can get a pretty good result from a HT. I am hoping for a cosmetic improvement in my appearance. I hope results will appear natural and the HT will be undetectable to most people. I know that a HT is not a miracle, which is why I only say “improvement”. I dont have plans for additional procedures. It is my hope that the results of this procedure will stand on their own. 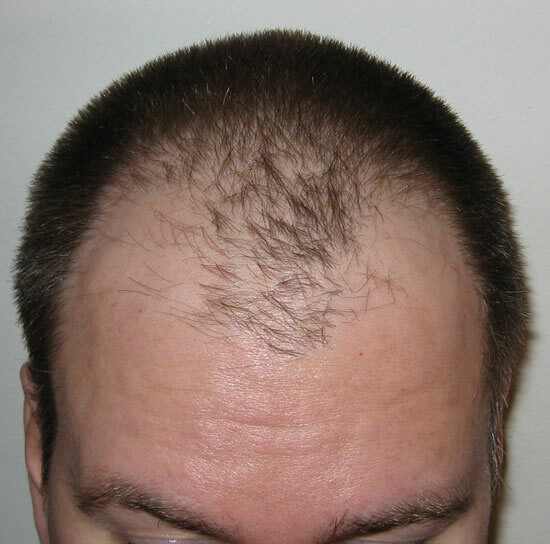 I know I may continue to lose my hair, but I hope by using minox and fin, I wont need any more procedures for several years. I think I would like a to go with dense packing in the hairline. My hair is thin in front, but there is a strip of hair that nearly extends down to my youthful hairline. I think I should start my new hairline there. This will make my hairline rather youthful, but I dont think it would look right to move the hairline farther back because this strip of hair will continue to grow for several years. If I need additional procedures in the future, I will go with FUSE. I have two large strips of hair that grow on the sides on my neck. This is an usual place to grow hair and I usually shave this off. I would love to use this hair as donor for the FUSE technique (if there were no scaring). Below are some photos of my current condition. These were taken with a flash in a dimly lit room, so they look at little worse than it does in person under normal light. Your comments and suggestions are appreciated. You should get a nice result with that amount of grafts. You’re right not to go further than the your old hairline. Perhaps a mm or 2 behind it. Good luck. I’m glad you agree about the hairline. Im nervous but hopeful. I took a look at your journal. Great results! After your first two procedures you must have felt very discouraged. I’m glad I had the experience of guys like yourself to get me started in the right direction. You can have a nice improvement without resorting to dense packing the hairline. 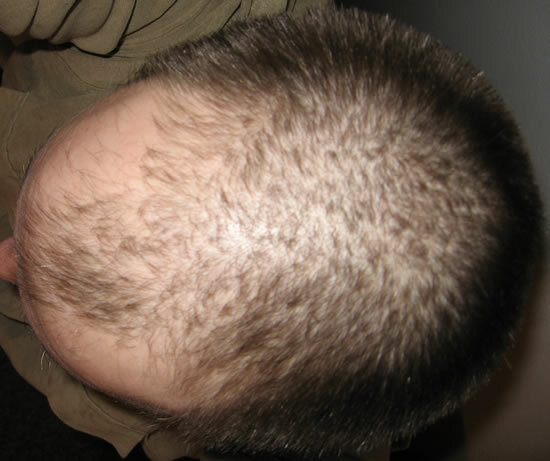 Sometimes an age-appropriate slighty receding look may be the best option for some people, especially when you want the procedure to stand on its own for years to come. Just my opinion. I am sure Dr. Arvind and his staff will discuss all the pros and cons with you prior to the procedure. Good luck. Be sure to take lots of post op pics. Email me the pics or upload them in the forum. I will set up a forum journal for you to track your progress. Good luck with your procedure… I think you are receiving enough grafts for a good result! I am inclined to go with dense packing because my hair is very straight. I have noticed that men with straight hair have a much harder time achieving a look of fullness. Light penetrates straight hair more easily and the scalp shows through. The other reason is my age. My hair loss has been very gradual. I think I have a pretty good amount of donor hair. If my hair loss does proceed to a point where another HT is required, I am confident I will have plenty of donor left. I’m not excluding the possibility of a second HT, but it isn’t part of my initial strategy. 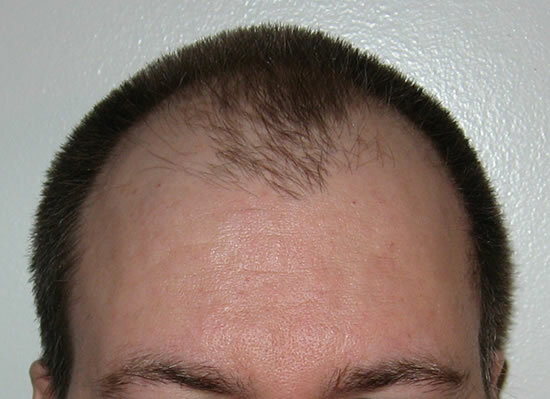 A more mature (receding) hairline would be easier to achieve with the number of grafts, but my existing hair grows very low on my forehead. I also have a lot of single hairs in my receded area that still grow very low. This makes it hard to go with a more mature hairline. If a more youthful hairline can be achieved, I think it would be a more logical fit for my existing hair. However I will need to discuss this with Dr Arvind. 4500 grafts enough for what you want to achieve? Besides the front, your top looks pretty thin too, I have seen some Armani dense packing work that required 3500 grafts alone just for the frontal 1/3 or less. Just my 2 cents… if you’re looking for a dense packed hairline of beauty (which really alters your physical appearance for the better and that is what you desire) I think 5000 grafts would suffice nicely. And leaving you with a great large number of grafts for the future. Dense packed at the hairline, average density on the rest- that’s the secret! If dr Arvind can come close to giving you an Alvi Armani hairline then you’re going to be one happy SOB… Congrats on your decision on getting a HT! Wish you all the best and pls do continuously keep us posted. » required 3500 grafts alone just for the frontal 1/3 or less. » the best and pls do continuously keep us posted. We discussed using a density of 70 grafts in the front 3 to 4 rows followed by 65 to 55 as we go back. I have seen some pictures of other patients Dr A has used dense packing with excellet results. Jiggy’s hair line though I don’t know what his density was. I dont think that’s a bad hairline at all. But it’s nowhere near the top hairlines that are dense with temple angle closes-You mentioned you wanted a dense frontal hairline so I don’t know where those examples came from. » » the best and pls do continuously keep us posted. » patients Dr A has used dense packing with excellet results. » hair line though I don’t know what his density was. Are you in receipt of any remuneration from the armani clinic? No I’m not. I have however booked my HT with him in March…if that’s okay with you ofrcourse. » Are you in receipt of any remuneration from the armani clinic? Well of course thats alright with me. I just thought that with your many gushing posts pertaining to the armani clinic and your many posted links to their work that you were a representative of theirs in one form or another. But what do you mean with my many gushing points? If I had praised any other clinic more than dr Armani then I think it would be common sence that I would have chosen that other clinic for my hair transplant procedure. Also, what would make you think I would be a representative for the Armani Clinic? Because a) I have complimented a variety of different docs here but still think Armani performs the best procedures; hence I chose him for mine and b) to be a representative you must notify the forum members and the forum’s administration by your signature. If you’re refrencing to this specific thread here then you should reread the thread from the begining. He said he wanted a dense packed hair line and then posted a pic of a thinning hairline. 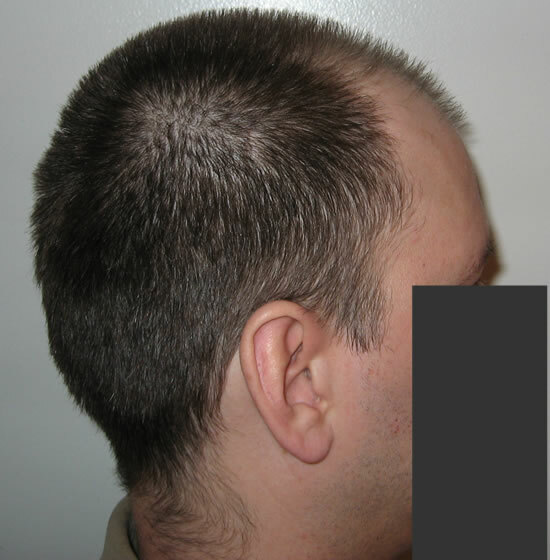 I posted picks of what a dense hairline looked like but if the pic’s he posted was the look he was looking for, then he wouldnt have a probelm with that at 4500 grafts. I also did not say that a the same number of grafts Armani would do a better job. I said he would need more grafts. Everyone has their fav. surgeon/clinic and their fav. results from pics of clinics. Mine couldn’t be more clearer that the Alvi Armani clinic is not only the most prominent clinic but by far performs the best FUE hair transplants out there. At the same time I have complimented DOZENSSSS of top surgeons right here on this board. So unless you’re indicating that I’m an undercover op working for the Armani clinic, this correspondence is pretty much over. » » with you ofrcourse. » Well of course thats alright with me. » representative of theirs in one form or another. …an undercover op working for the armani clinic ? no no, i don’t think that. surely no clinic would resort to such gutteral, underhand sales tactics. I now see that you’re just another very enthusiastic armani poster. Ur best strategy would b 2 stay away from Arvind all 2gether. » a dense frontal hairline so I don’t know where those examples came from. Those are indeed great hairlines. Unfortunately I am not blessed with curly hair. From what I have seen, those with curly hair will generally get a much denser looking result than those with very straight hair (like myself). The guy in the second link also has a very dense hairline, but he started out with a lot more hair than me. He could get a lot of density with 2500 grafts. I will post my results. You can let me know what you think. I’m hopeful. Will this be your first HT? Please get some good before pictures and keep us up to date on your progress. Goodluck with your procedure. » Ur best strategy would b 2 stay away from Arvind all 2gether. Who did your HT? Your obviously unhappy with the outcome?